I think we might see this development money come further into play down the road. I think HD might be moving towards more water cooled engines in the future to comply with new EPA standards that will be taking affect in a couple years. 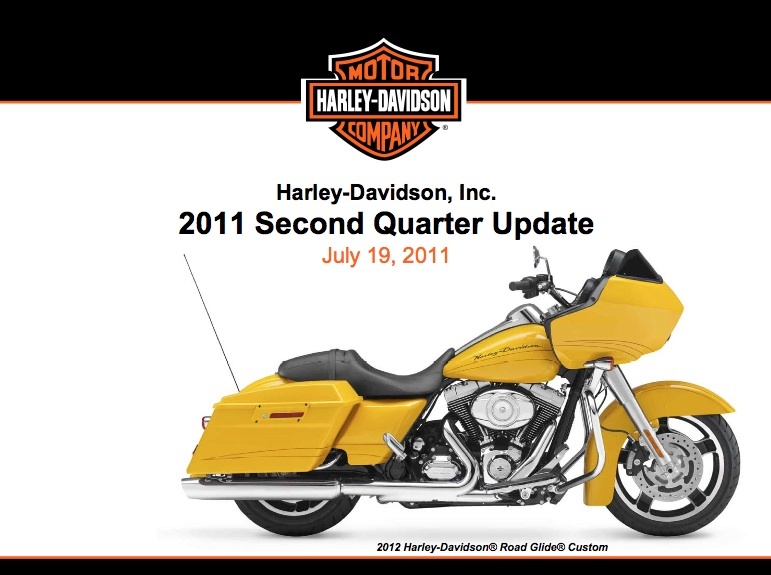 I think also what HD should consider doing to perhaps jog a small amount of sales, is consider making Softails or Baggers with mid mount foot controls instead of only forward controls. I am in the 5’7″, 5’8″ height area, and I just upgraded from my very old Sportster to a Dyna. I would have gone to a Softail likely if I could have reached the foot controls. A very good blog, and i live farily close to the York Pa factory . Richard from Amish Stories.